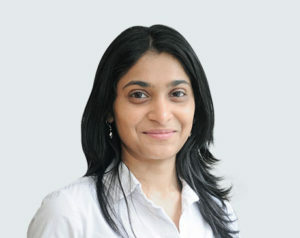 Neha N. Joshi has expertise in extensive manual approach (Maitland's and Mckenzie techniques), strength and agility training. She treats patients from 15 years to the geriatric population. Ms. Neha is working toward attaining a Strength and Condition Training Certification to upgrade her knowledge in various areas of manual therapy and physical rehabilitation. Ms. Neha attained her Bachelor’s Degree in Physical Therapy from Maharashtra University of Health Sciences, India and her Master’s in Orthopedics and Manual Therapy from the University of Pittsburgh, USA. Ms. Neha is a Physical Therapist in Optimum Rehab Physical Therapy. Her hands-on focused approach minimizes patients’ recovery time. Make an appointment or call us today at our NYC, Wall Street, Upper East Side, or Astoria location to start your rehab.